One study showed marijuana provided significant improvement of sleep and pain scores and no adverse effects of the drug were observed. The study suggests cannabis might have a place in the therapeutic armamentarium of PD (Djaldetti, R., Y. Roditi, TA Treves, and I1 Lotan). 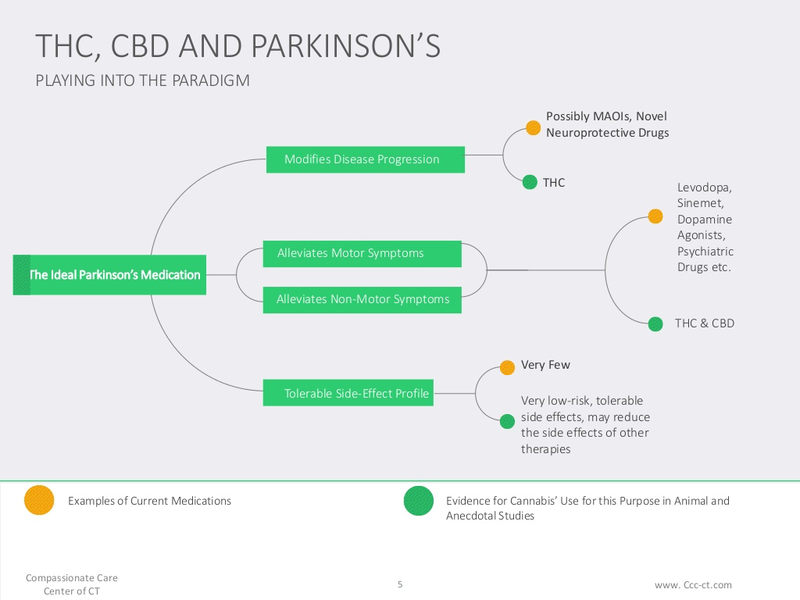 In a study published Sept. 18 2014 in the Journal of Psychopharmacology, daily treatment with cannabidiol (CBD) led to improved wellbeing and quality of life scores among a small group of Parkinson’s disease patients. Prior studies have shown a wide range of benefits of marijuana for Parkinson’s disease, including relief from motor symptoms and sleep disturbances.